Synopsis: A bored Midwestern couple boards a cross-country train for an impulsive romantic getaway into the American West … but no matter how far they go, they can’t seem to get away from the fantasies, fetishes and doubts below the surface of their marriage. Great Western Wanderlust comically chronicles the St. Louis-to-Los Angeles adventure of Greg and Kristi, two thirty-somethings hiding their true wants and needs beneath their stolid Midwestern upbringing. As their escape from suburbia turns into a vacation from hell, their trip west also changes their relationship – they feel the pull of freedom and adventure, and the classic American impulse to find their true selves on the open road. 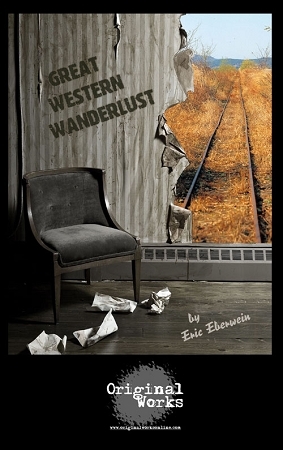 "The strength in Eberwein's writing is his skillful blend of harsh reality and undeniably poetic passages."